Giovanna Leonardi works on Italian Seaside Wedding and Italian Country Wedding wedding web sites. She is our planner and coordinator for Sicily one of Southern Italy major Islands. She loves her lands in all its beauty. Giovanna is Italian mother tongue and she speaks English fluently. She has a degree in foreign modern languages and literature. She worked in an engineering company, where she was responsible for business management and administration. Giovanna has always been keen on organising events and in recent years, she has devoted much of her spare time in creating and organising ceremonies and private events for friends and family. All of which, won her continuous praise. Her passion for events and wedding planning lead her to turn her natural aptitude into authentic work skills. She attended famous school “The Wedding Planner School” in Bristol UK. 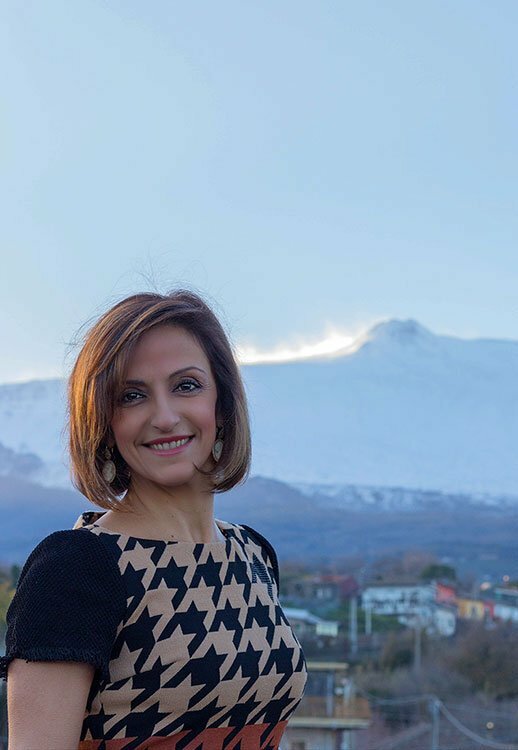 She also worked with other planning agencies in Catania – Sicily before starting her own business. She developed a in-depth knowledge of Sicily and all its beauties. After such a long experience she joined Italian Wedding Company Team in February 2018. Giovanna is reliable, highly organised and she has an incredible refined taste. She is always looking for the beautiful and the exclusive in what she creates with her couples. She loves making her couple’s dreams come true! She loves traveling, cooking for her family and her friends. She is an home design and decor passionate….that would have been her ideal job if she did not decide for wedding planning! Giovanna is the ideal planner for your wedding in Sicily where you will find charming and enchanting scenaries for an unforgettable wedding in warm Southern Italy.